CPM S30V is a martensitic stainless steel formulated to provide a good balance of toughness, wear resistance and corrosion resistance. The 4% vanadium in this grade combines with the carbon to form vanadium carbide, providing the wear resistance, while leaving chromium free to provide the corrosion resistance. CPM S30V, manufactured by Crucible Industries, can be hardened as high as RC 60 while maintaining a fair amount of toughness. CPM S30V is a favorite among custom knife makers. 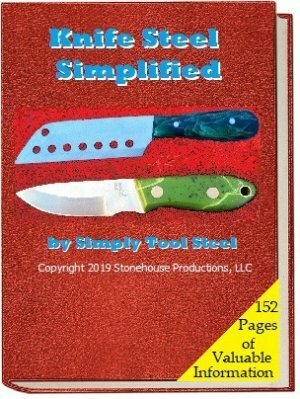 CPM S30V is a very versatile stainless steel grade that is very popular in the knife making industry. It has gained popularity among custom knife makers, since its provide such a good combination of toughness and wear resistance in a corrosion resistant grade.